Q.) What's the inspiration behind your rap name? A.) The inspiration behind my rap name is "rising to a new life." I grew up involved in the streets and I made bad decisions. Due to an encounter with Jesus Christ my life was changed. I believe a new me has Risen, hence the name RisN. Q.) What is your drive and motivation to do what you do? A.) My drive is to make really dope music!!! I am inspired to make music that impacts people in a positive way. There is so much negativity floating around, especially in urban music. I don't think this has to be the case, so I want to offer an alternative for individuals who are searching for more… searching for substance. Q.) Would you consider yourself a Christian rapper? A.) Yes and No. My faith oozes through everything I touch, but my music isn't exclusively Christian per se. My topics are everyday life topics from a perspective of someone who follows Jesus and the bible. I have club bangers, love songs, conscious songs, social, spiritual, and so on. Q.) Is there a certain age group your music is geared toward? A.) Yes, my target age group that is 17-25. This is a large range, but the topics I touch on really hit this range...late high school through those just graduating college. Q.) What is the inspiration behind your single "It Ain't Easy"? A.) The inspiration is pretty much my life story. I grew up on the south side of Chicago. I had a father that died of Aids when I was nine and a brother that was gunned down when I was fourteen. I was told we could retaliate and I was torn with the decision. I then got involved with gangs for a while, prior to having an encounter with God that transformed my life. This story is one I hope to inspire others to make positive changes for themselves as well, not only street people, but every individual. Q.) Is there other ventures that you are working on besides music? A.) Yes, of course! I'm a music producer/composer as well, so I'm always working on that. I also have a gourmet sweets company that I'm continuing to build with my wife. And I'm working on launching my public speaking career as well, where I share my story and promote health. Q.) Are you working on a current album? If so, do you have a release date in mind? A.) No, I am not currently working on an album. I have another single I will be releasing sometime mid 2016. 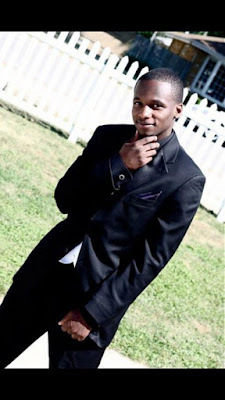 I am working on getting everything situated for my music video for my current single "It Aint Easy." Q.) How can fans connect with you? A.) You can connect with me via my website www.iamrisn.com (I spell RisN without the "e"). 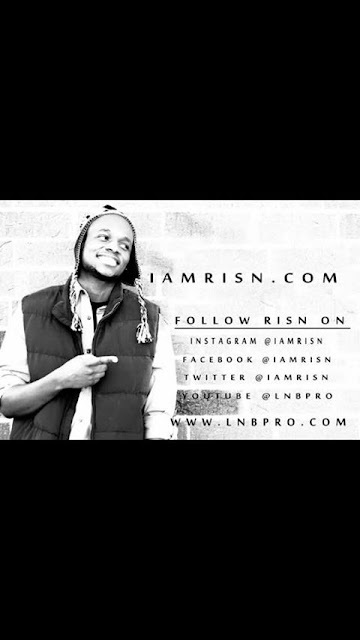 They can also connect on social media: Twitter, Instagram, Facebook (@iamrisn), and YouTube.com/LNBPro. I am just now seeing this! Thanks so much for the post!! I'm super late!